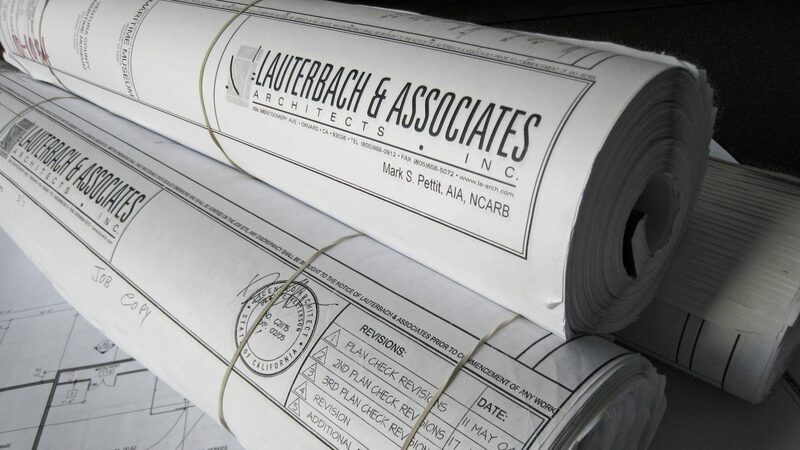 Lauterbach & Associates, Architects is a Ventura County firm offering a complete range of architectural and planning services. As a professional team of experienced architects and skilled support staff, we are able to give comprehensive service to our clients from project inception to the final inspection and the day of the ribbon-cutting. L&A (as we are known) has been a part of Ventura County since our founding in 1970. Our roots are here and we take pride in the depth of our knowledge and understanding of our communities. And, like everywhere, this has been a time of change. Having not only seen the changes but having been a part of them, we have unique insights to offer to anyone hoping to build or remodel in this area. Our region has transitioned from an economy relying primarily on agriculture, oil, and military bases to one of great diversity. Of course we still have beaches and tourists-and the Coastal Commission. Farmlands and SOAR (Save Our Agricultural Resources). We've become a bedroom community for both Los Angeles and Santa Barbara. This brings a need both for housing and traffic mitigation. New industries. New restrictions.